Sales is an important function in every organization. It is these guys who reach out to prospective customers and help you get your clients. So, sales training must be given utmost importance. HR and L&D teams always strive to provide the sales team with excellent training to improve their efficiency. Companies spend around $20 billion a year on sales training. Developing an effective sales training program is like an investment, where the ROI is efficient sales professionals and profits out of the deals closed by them. Rather than sticking to the old ways of instructor-led training, enterprises are now using mobile platforms to deliver advanced sales training. 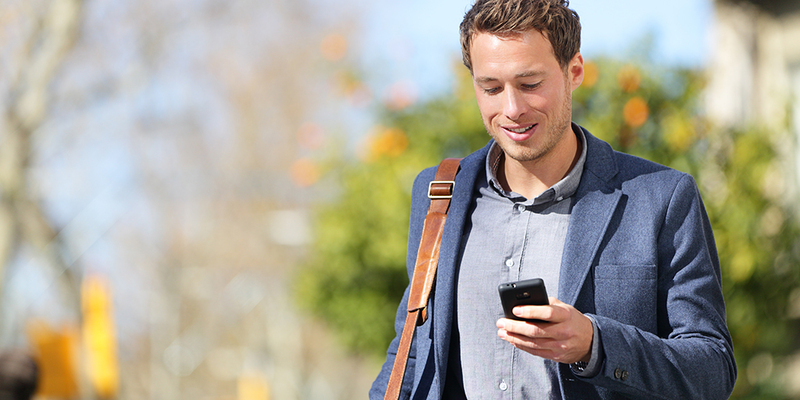 Using a mobile platform can help in maximizing the effectiveness of sales training. Since most of the employees today are familiar, or rather experts in using mobile devices, it would be a good call to deliver training on a mobile based platform. The familiarity of the platform will keep them engaged in the training process. The sales team is always on the move. They’ve got multiple meetings in a day, they have to attend calls and be on time for appointments with clients. In such a scenario, it is not always feasible for organizations to send employees to another location for Sales training purposes. It’s a waste of resources, and the employees might not necessarily retain the stuff they have learned. Designing a course module that is fit for a mobile based device ensures that employees have access to the training content all the time, irrespective of where they are. They can go through the courses whenever they have free time, and in between meetings. You can create small modules and provide just-in-time information to the sales professionals. Such short bursts of information will help them stay updated even while on the move. Although the content is designed specifically for your busy sales force, it is quite possible that they may not have enough time to go through it during work hours. In such a situation, providing offline access to the course modules proves beneficial. They can download the content and save it on their device and read them later whenever they have the time. Lack of proper internet connectivity will no longer affect their learning process. This feature enables sales professionals to have 24×7 access to the sales training content. The sales team is always busy, so they might not possibly find time to read a lot of content. You can add videos, audio etc to make the sales training content more engaging. Delivering an old-school style training doesn’t work these days and is not considered to be very effective in terms of knowledge retention. Creating short video clips will help them quickly go through the content, retain and recollect the information in a better way. With the help of audio files, they can listen to the training material even while traveling. You can include quizzes and tests after each chapter or in between the course modules to test their understanding of the concept. Online assessment techniques are far better than paper-based assessments because they produce instant results. The trainee can see his scores in real-time. This quick response will help them learn and remember where they went wrong. Unlike the traditional methods where a trainer would conduct a paper-based test, assess them individually and give out the results after few days. A mobile based platform also allows the management to view their progress and give them feedback based on their performance. As an enterprise that is investing time and resources into training its workforce, you would of course want to have an in-depth analysis of the training program and about the performance of the trainees. With an analytics tool, you could get accurate data about the number of times your employees have attempted a test or opened a certain course module. It could give you a report on the consumption pattern and the preferences and performance of your employees, allowing you to change your training methods and strategies accordingly. When you use a mobile platform, the content is usually cloud based. This avoids the risk of losing your training materials. Whenever there’s a new update, you can simply make changes on the cloud and all the employees will receive the updated course content. Unlike a traditional coursebook, which you would probably have to reprint in case of new updates. This saves printing costs and ensures that your employees always have up to date information on their devices. Sales professionals need to have the most up to date information about their field of operation at any given time. Assembling sales team from different locations and simultaneously informing them about a particular product might be a difficult task for enterprises. With a mobile platform, you can inform and update all of them at once. They could receive the updates as notifications on their screens. Sales people are anyway trying to outperform each other to make the highest number of sales. Gamifying the training content will increase this competitiveness, leading to better sales outcomes. Your employees are already familiar with the gaming environment. Including certain gaming principles will motivate them to perform better. For example, you can keep leaderboards to display everyone’s assessment scores, or you could give them small badges as a reward for the tasks accomplished. These small things matter when it comes to motivating your employees to do better. Including virtual scenarios in your training programme will improve your employees’ critical thinking and problem-solving skills. You can have scenarios where the trainees have to select an option for the next step. It helps them understand the best practices and implement them when required. A virtual scenario helps in learning and understanding things in a risk-free environment. The trainees can find solutions to potential problems that might arise in future, for example, dealing with an angry customer. Integrate the sales performance reports with the mobile platform. It will allow the managers to have a comprehensive view of their team’s performance metrics. Based on their sales performance you can assign them course modules to increase their efficiency on the job. Sales professionals have to be well-versed with every detail and feature of the product or service that they are selling. The conviction with which they market and sell your product decides if the prospective customer will turn into your client and bring business to your organization. Hence, you must strategically plan your sales training program. A salesperson has to interact with many people every day and he should be trained in a way that he can come across as knowledgeable about the brand, reliable and trustworthy. Using a mobile platform for sales training ensures that your sales team is always updated and well informed.